AS the Festive season is approaching!! And the Super Diwali Shop is a game found on the diwali festival, which is the most and great festival of Hindus which is celebrated across India and the world too. Diwali is also known as the festival of diyas(a lamp made up of mud). 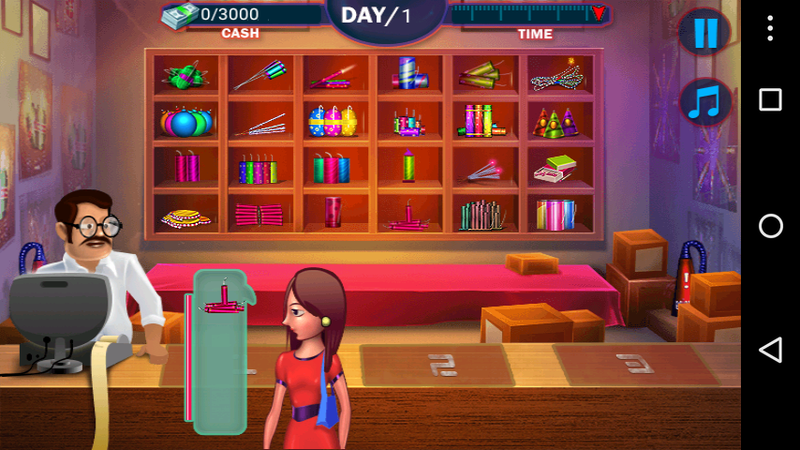 In the game where you are the shopkeeper and you have the shop filled with the crackers. Lots of people coming over your shop. Deliver that customer the desired crackers within the time span allocated. 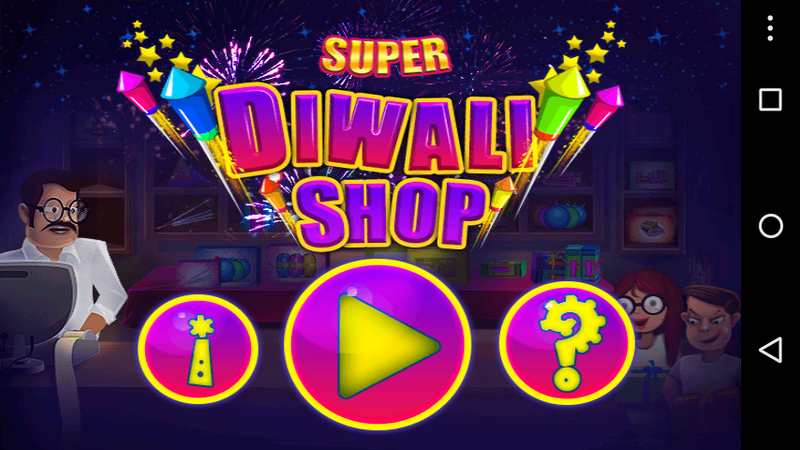 However, the daily target is given in the game-Super Diwali Shop. Achieve that target and increase the profit ratio. So match the cracker’s from the display shelf to the customer wants. Simply tap on the cracker first and besides that tap on the requiring customer so, on. Check the order correctly in the case to get unbear from the loss. Whenever the wrong product gets delivered it will decrease the time from the daily achieving target.